After the book of Exodus, Moses’s two sons and numerous descendants all vanish from the Bible. Flavio Barbiero’s investigation of this strange absence and his study of the centuries-long power struggle between the priestly families fighting for control of the Temple of Jerusalem starts with the rebellion against Rome--and the emergence of Josephus Flavius, one of Moses’s descendants, on the world stage. In AD 70 when the Temple in Jerusalem was destroyed by Titus Flavius and thousands of Jewish priests were exterminated, Josephus, now bearing his sponsor’s last name, followed Titus Flavius to Rome with at least 250 relatives and friends. Here they were made Roman citizens but then subsequently disappeared from recorded history. Barbiero’s careful study of early Christianity shows, however, that these surviving members of Moses’s high-priest lineage succeeded in taking control of the nascent Roman Church and masterminded its extraordinary success. Using a wide range of evidence drawn from fields as disparate as archaeology, heraldry, and genetics, Barbiero shows how these descendants of Moses used the cult of Mithras to eventually seize control of the secular Roman authority as well. He then follows, step by step, the spread of the members of this secret priestly elite into what was to become the aristocracy of medieval Europe and how their influence continues to be felt in modern secret societies like Freemasonry. Who Practiced Censorship on the Mosaic Family? The Bible provides sufficient elements to be able to establish with certainty that Moses had a line of descendants. There are, however, a limited number of elements, which seem to have escaped deliberate censorship on the biblical text, with the precise aim of eliminating the evidence that Moses’s descendants considered themselves members of the priestly family in Israel. It is also possible to assess the magnitude of the censorship carried out on the various books of the Bible. The text most affected is without doubt that of Joshua, which contains detailed and complete information on the conquest and dividing up of Palestine among the various tribes of Israel, and which goes into great detail about which cities were allocated to which families. What is missing, however, is absolutely the most important information about this dividing up: what Moses’s family got and to whom the city of Shiloh, which became the religious center of Israel, was allocated. A substantial part of the book must have been dedicated to this information, and it was suppressed. 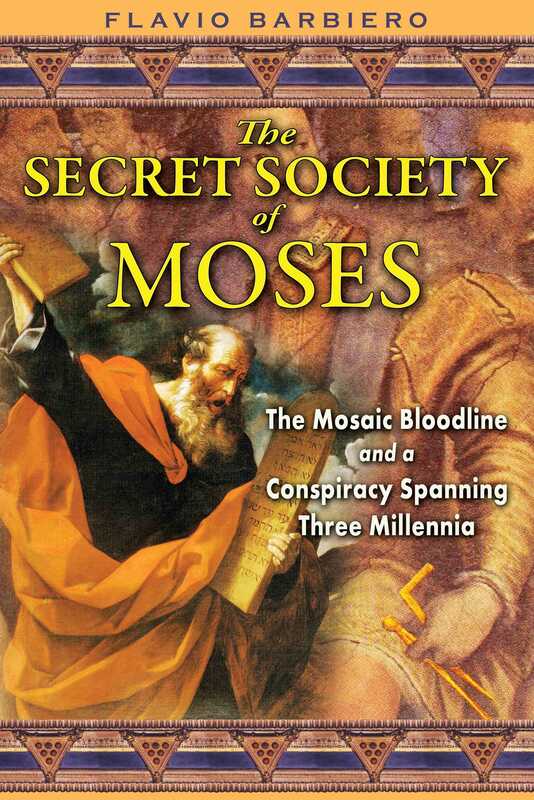 Censorship on the other books must have been lighter, because for these it was sufficient to correct or suppress a few names, or a few verses here and there, to get rid of any direct link between Moses and the priestly family. In any case, it was rather clumsy censorship, because it left so many clues that it allows us to reliably reconstruct what it intended to eliminate. It remains for us to discover who carried out this censorship, when, and why. The most obvious suspect is of course Ezra, who, as we have seen, was the author of the verses that establish the descent from Aaron of the twenty-four priestly families, which had returned to Jerusalem from the Babylonian exile. Since it was he who physically wrote the copy of the holy book, which was then used at the Temple of Jerusalem, it would have been easy for him to omit those parts that he did not wish to make public. But this does not seem likely. It does not seem convincing that he, a priest, would have censored such a large part of the holy text and, furthermore, in such a rough and clumsy way. Most of the censorship must have been carried out before him. Having reconstructed the lineage of Moses’s descendants, we can now also reliably reconstruct the genesis of the holy book. Tradition attributes the writing of the Pentateuch to Moses, but this is rejected by modern exegetes, with the excuse that Deuteronomy recounts the events of the last day in the life of the prophet. But if by Moses we mean his family, as was the custom of the Jewish people, and not the prophet personally, then it seems not just possible, but even highly likely. The Pentateuch mentions various times that Moses, or someone representing him, wrote the texts of the laws and the sermons, recorded entry into the tabernacle, noted events, and put everything in the ark. It is more than obvious that his descendants, the people in charge of the Temple of Shiloh, jealously conserved this documentation, and it is likely that they added it to the deeds relating to the dividing up of Palestine and to later historical events in the period of the Judges. For example, by careful analysis of the content, it can be established that Deuteronomy was written by Moses’s grandson, Shebuel, who must have witnessed as a child the events narrated in the book. The book of Joshua would seem to be the work of the same author. It does not seem likely, however, that it was he who censored, or else deliberately omitted, the information relating to the origins of Moses’s family and to the attribution of the city of Shiloh in the book of Joshua. To discover who it was it is necessary to follow the destiny of those documents, step by step, in the Bible. They must have been reordered and organized into an actual book at the time of Samuel, perhaps even by Samuel himself. The book then ended up in the ark taken by David to Jerusalem (2 Chronicles 5:10), and from then on it was kept in the Temple. The books of Samuel, Kings, and Chronicles offer sufficient information to reconstruct the events surrounding this book, known as the “Book of the Laws” and allow us to identify the probable author of the heavy censorship carried out on the book of Joshua. At that time Judah was at war with Israel. As the first act of his reign, in fact, Josephat “strengthened himself against Israel.” In these conditions he could not in any way have publicized writings that could delegitimize the position of Judah in favor of Israel. In the original “Book of the Laws” it said, as we have seen in previous chapters, that the city of Shiloh had been allocated to Moses’s family and that obedience was given by a part of the Jewish people to this family. Shiloh, unfortunately, was in the territory of Israel. In the copies for instructional use produced by Josephat, the whole part relating to Shiloh had to be amended and with it also closely connected information, such as the information relating to the people in charge of Shiloh: Moses’s family.